Father’s day is a day of thanksgiving to my dad for his sacrifices to support his family; for his forgiveness which I didn’t deserve; for teaching me right from wrong; and being the person I could trust when I needed help. It’s also a day to thank God for the sacrifice of His Son that redeemed me of my sins; for His loving care, forgiveness and mercy which I don’t deserve; for giving me the virtues to live right and justly according to His will; and for being the One in Whom I know I can trust. I squeezed in my post about The Corporal Works of Mercy two days prior to the close of the Jubilee Year of Mercy. I’m a few days late in following up with its sister post about the Spiritual Works of Mercy, but, just because the Year of Mercy came to an end, doesn’t mean we have to stop learning about mercy and being merciful. “Fill your empty neighbor from your fullness, so that your emptiness may be filled from God’s fullness.” – St. Augustine, Sermon 56, 9. Just as it was when St. Augustine wrote these words in the early fifth century, many men and women today are spiritually lost and barely surviving in today’s cultures of individualism, hedonism, minimalism and relativism. They are hurting inside and, although they may not admit it, they are searching for truth. As Christians, we are called to lead others to the real truth and light of Jesus Christ. We can do this by practicing the spiritual works of mercy: instructing the ignorant; counseling the doubtful; admonishing the sinner; bearing wrongs patiently; forgiving offenses willingly; comforting the afflicted; and praying for the living and the dead. Instructing the ignorant essentially means bringing knowledge of the love of God through Jesus Christ to those who have not had the opportunity to get to know God. We do this first and foremost by living the Gospel – being witnesses to Christ – in our daily lives. We have to live our lives as examples by radiating love; being charitable and forgiving; living our lives with gratitude; and letting others see the peace and joy we experience of being “in Christ”. We don’t even have to open our mouths – just let our actions speak for themselves. Sometimes, however, we are called to speak. We don’t preach from street corners, rather, we gently evangelize – communicate the love of God to everyone we meet – by helping them find meaning and a sense of place in this world. We can try to convince all day long but until others experience God’s love with their own senses, we can’t expect them to “get it”. It means we may have to testify and let others know how it feels to us to live in faith and receive Christ’s love. Ultimately, our job is to lead them to a rendezvous with the Holy Spirit. It can be difficult to give counsel to people whose faith is wavering, or to those who fear the transformation that will take place if they give their life to Christ. It takes study to deeply learn our faith and have the strength to be able to practice this work of mercy. We can’t be half-baked Catholics and expect to effectively counsel the doubtful. It takes conviction based on knowledge and a love for Christ that lets our counsel come straight from our hearts. Many Catholics fall away from their faith because of doubt when they don’t feel the presence of God in their lives. When we counsel, we need to intimately understand their relationship with God. We have to be patient and accepting. And, they have to know our love for them. The act of counseling means inspiring people to believe they can have a relationship with God. Then, we let the Holy Spirit take over. We would have to be hermits to not observe other people sinning. And, to everyone else, we are the other people. So, as we think about how to apply this work of mercy, we ought to consider how we would like to be admonished for our own sins. We should remember the adage, “Hate the sin, not the sinner”, and not judge a person for his or her sins. Our admonishment should be a result of our love for the person, a love that wants to make them aware of the hurt or damage that their sins created to themselves and to others. Our admonishment has to be made with humility and an awareness of our own shortcomings, and a belief that none of us are perfect. Our job is to gently and respectfully call the person to conversion, not beat them up. But, there is a catch: to not be hypocritical about the particular sin being admonished, we have to ourselves be virtuous with respect to that sin or we have to be a witness to the difficulty of conversion and ask for reciprocal help and prayers. We have all been wronged by another person in some way. Often, our response is anger and a desire for vengeance, to give what we received no matter how unkind or unfair. But, Jesus taught us to turn the other cheek, to love our enemies, and most importantly, to forgive them. Fair enough. So, what does patience have to do with it? This patience requires internal strength to wait and hope for improvement or a discontinuation of the wrong that is being done; or a conversion of the other person by giving them a chance to get it right. Then, there is a second form of patience – forbearance – which we have to practice when it comes to the wrongs we commit ourselves. After repenting of our own sins, we have to make the effort to not sin again, and to avoid the near occasion of sin. We are wise to be patient with ourselves knowing that we might not get it right the first time but, through forbearance and the grace of God, we eventually will. 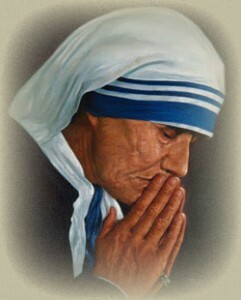 This is probably the most difficult act of mercy because it means turning loose of our hurt feelings caused by others. It means putting an emphasis on the word, “willingly”, and understanding that forgiveness can’t be forced. We have to want to forgive for it to be true forgiveness. It’s not easy. We will probably have to pray for the grace and strength to forgive. Many people are overwhelmed with stress or a battle raging within; or full of emotional pain from bruised and broken relationships. It doesn’t matter if their pain is a result of hurt caused by someone else or from their own decisions in life. It’s still pain. Unfortunately, many have no one to whom they can turn to help relieve their suffering. Comforting the afflicted is about showing up. It’s being a shoulder on which a person in need can lean; it’s giving advice, if asked; it’s listening to their story and helping them feel they matter; and offering a needed hug. It’s about our Christian Community being attentive and actively looking for our neighbors who need help. In our Mass, we reserve a special moment at the end of the Liturgy of the Word for prayer intentions. We have prayer chains in which we request prayers for, and offer prayers to, the living sick and afflicted. We believe that Jesus hears and answers our prayers, as well as the intercessory prayers we ask of the saints in heaven, especially those from the Blessed Virgin Mary. We sacrifice and offer up our own afflictions as a form of prayer for others. The power of prayer is not only phenomenal, but a miracle! Unfortunately, we aren’t able to see the effectiveness of our prayers for those who have already departed this life. But, our faith tells us they are heard. As Catholics, we believe the soul of a person receives purification in purgatory before passing on to heaven and that our prayers will help “cleanse” the souls (“Nothing unclean shall enter it [heaven]”-Revelations 21:27) of those awaiting entrance to heaven. As we pray for the dead, we can imagine the day when we, too, find ourselves there and hear the gratitude from those whom our prayers assisted. That will be our special reward for this work of mercy. I first saw this quote about a year ago on a monitor at the YMCA where I was working out. At the time, I had just made the decision to turn to Christ and join the Church so I took the time to write it down. The saying intrigued me. There I was loping along on the treadmill and I thought, “God certainly didn’t bestow any gracefulness on me!” It was one of those moments where I realized that I didn’t know what I didn’t know, specifically the definitions of grace and mercy. Considering the new spiritual adventure I was on I thought I probably ought to get familiar with both terms. Half of the quote, the mercy part, wasn’t so hard for me to understand. But, it took me a long time to get my mind wrapped around the grace part. Maybe it’s because I tend to be a little ornery at times, but the sarcasm in the phrase about mercy wasn’t lost on me. It is a subtle, tongue-in-cheek way of saying that God doesn’t punish us for our sins that merit punishment. It’s our deliverance from His judgment. Ever since I was a boy and I heard my grandmother say, “Lord, have mercy on you, child!”, I have fully understood the context in which she uttered that oath – she was pleading to God to grant forgiveness to me, forgiveness for things which definitely merited punishment. I’m pretty sure I owe my grandmother big-time for acting on my behalf. But, understanding the grace part was a little more challenging. After a lot of mulling it over, I think I finally figured out why. There are many definitions for the word “grace”. In its noun form I was familiar with two meanings: “a meal time prayer”, and “ease and suppleness of movement”. More to the latter, I believe I confused the word “grace” with another similar noun, “gracefulness”, which means “the quality of being graceful”. In fact, this meaning had such appeal to me that it seemed like the perfect name for our youngest daughter, Grace. My wife, on the other hand, because she has been Catholic her entire life, probably understood from the get-go what grace really means and intended it as such. Eventually, after breaking down and doing one of the hardest things there is for a guy to do – to look a word up in the dictionary – I realized my ignorance when I read Webster’s primary definition as, “Unmerited divine assistance given humans for their regeneration or sanctification.” The operative words to me in that definition are “unmerited divine assistance”. In my simple mind I translate that to mean that God, through His goodness, is giving me something which I have not earned. And, if the truth be told, it’s probably in addition to the mercy He has shown me for what I really deserved. I’m sure they go hand in hand. There’s a little irony in all this. Now that I understand what God’s grace really is, I realize how, seventeen years ago when I least deserved it, He bestowed on me a lifetime of grace by blessing me with a beautiful and loving daughter who is the embodiment of her name. God is great! I think He also has a good sense of humor. I have mentioned “God Moments” before, those times where God becomes present to you in some unexpected way. I think these “God Moments” are examples of His grace. If you have ever had any “Ah-Ha” moments you would like to share about receiving God’s grace, I’d love to hear about them.